The essence of Plantation Rum Original Dark is the wealth of its palate and its technique of double aging. 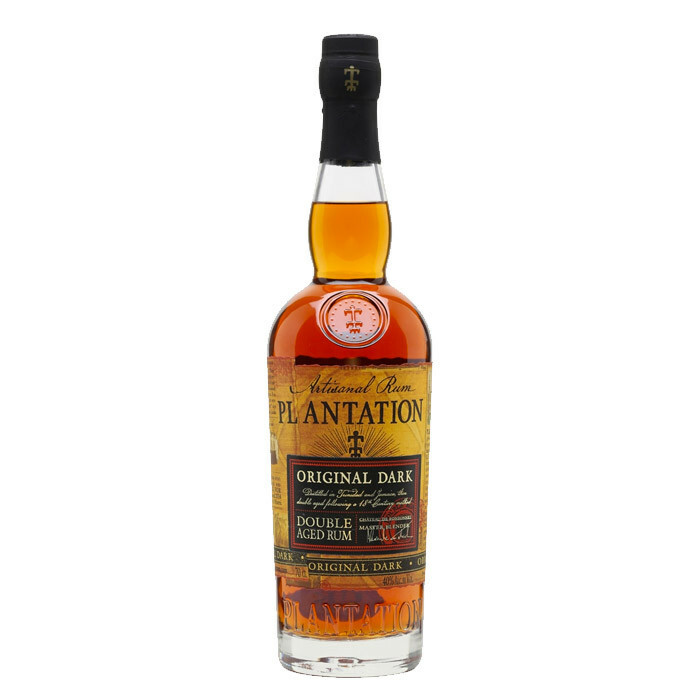 Plantation Original Dark comprises the elegant rums of Trinidad which are distilled then aged in their tropical climate in the Caribbean in American oak barrels under high heat before traveling to France. Once in Europe, the House cellar master decides on less “high esters” for the Trinidadian rum and blends in old rums from Jamaica (15 - 20 yrs.) This end result finishes like sweet nectar but also adapts beautifully to classic cocktails made with dark rum such as the Mai Tai or Daiquiri. Dynamic aromatic activity going on here in the opening fragrance, which includes hints of black peppercorn, clove, cinnamon, baked cherry, prune, Danish, molasses; later sniffs encounter vegetation/forest, leaves, black tea, dry stone/slate. Entry is fruity with white raisins, dried pineapple, and is off-dry, brown sugar-like; mid-palate is spicy and peppery, piquant, minerally, and significantly drier than the entry stage. Ends, fruity, spicy, charming.